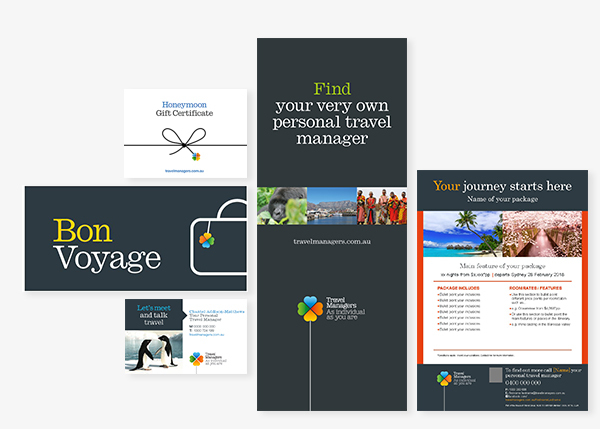 Marketing is the key to growing your business and we’ll provide you a comprehensive suite of marketing collateral exclusively designed for your personal travel manager business model. 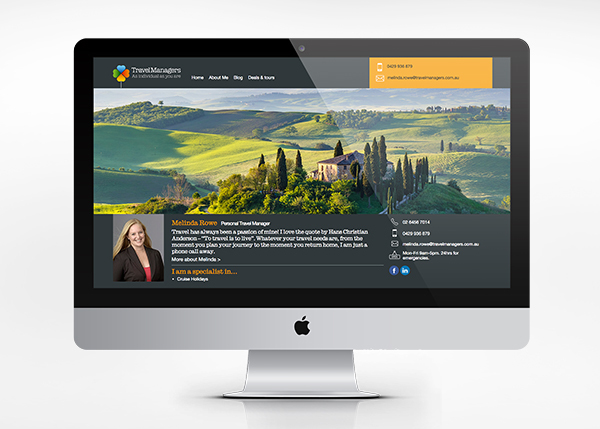 This section of the TravelManagers website is like having your own personal website, at no cost to you! Photos and videos and more. We offer personalised e-newsletters which are produced centrally by our Marketing team and distributed regularly to your clients. 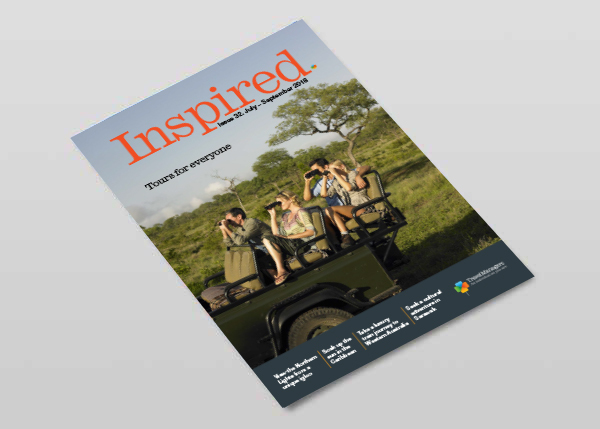 Our quarterly full colour magazine, packed with offers, news and inspiring travel stories. Available in printed format and for free electronic distribution, via your web page. Your clients will be impressed with this publication. 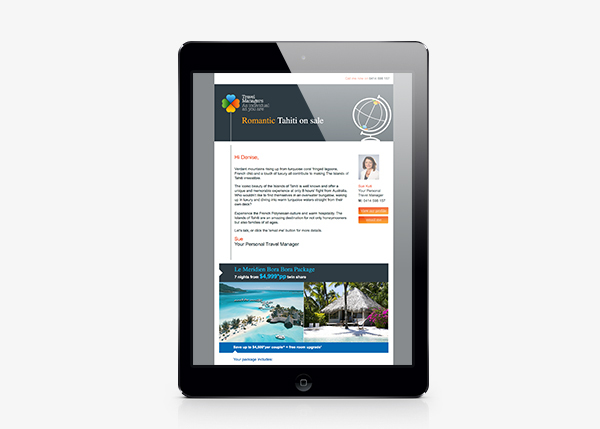 Designed exclusively for our personal travel manager model for leisure and corporate consultants, this comprehensive e-kit includes advertising and promotional material which can be personalised, marketing templates, case studies, brochures, event banners, car decals and so much more. 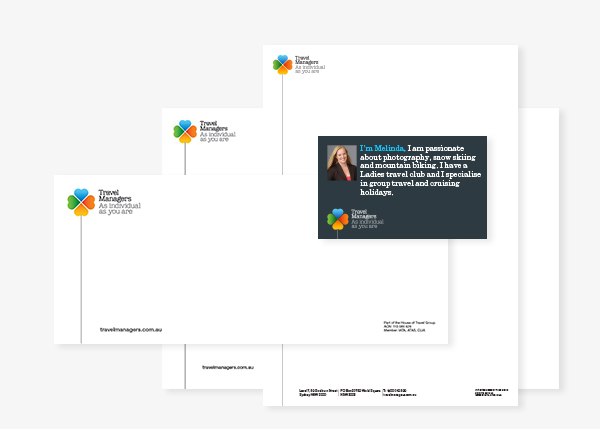 You’ll have access to our branded business cards, compliments slips, gift cards, honeymoon cards, welcome cards and a range of collateral you can personalise with imagery and colours…reflecting your own individuality. 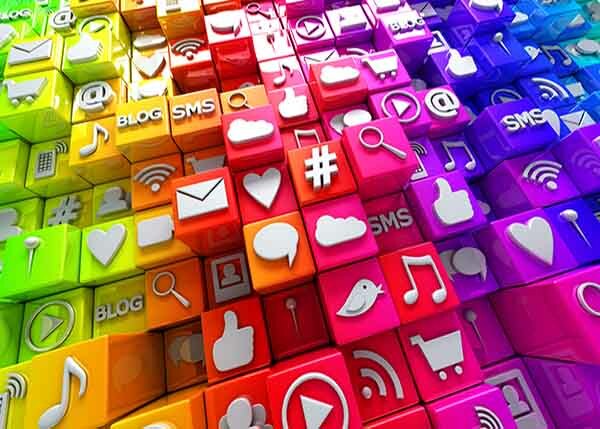 Our in-house digital expert can assist you with an online marketing strategy to grow your database. It’s all part of our partnership agreement. And your client database is yours and yours alone. We don’t have a retail travel network so we’ll never compete for your business. Our consumer website, travelmanagers.com.au offers a search function to find you, via postcode, name and/or speciality. 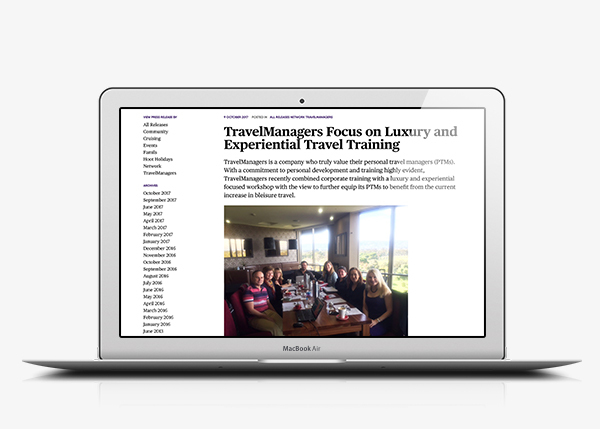 TravelManagers is active in the tourism industry with news stories, blog articles, public relations initiatives and articles driving enquiries and brand awareness.